Soderstrom Skin Institute will offer 3 Free Mole and Skin Cancer Screenings throughout the month of July. The first July screening will take place in Normal on Saturday, July 8 from 8am-12pm. No appointment is needed. 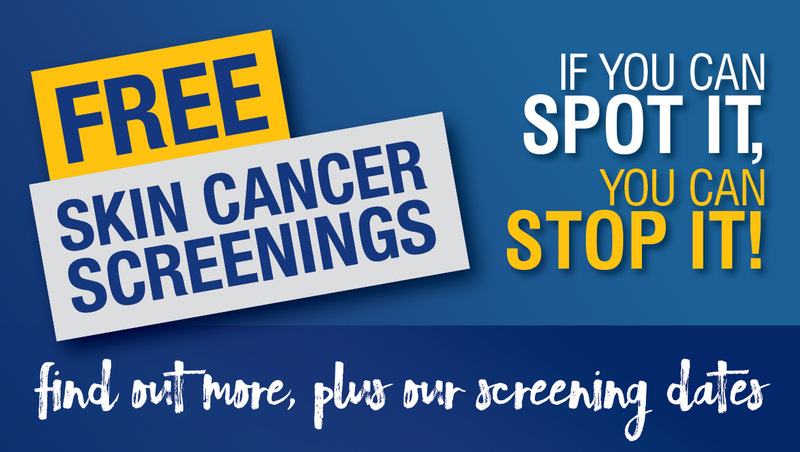 Additional free screenings will take place in Peoria on Saturday. July 15th from 8 am-1pm and Davenport on Saturday, July 22 from 8am-12pm. No appointment is necessary. Attendees are seen on a first-come first-served basis. More than 5.4 million skin cancers are diagnosed annually. Around 87,000 will be Melanoma. Over 9,700 of these cases will be fatal. There is a 98% survival rate for patients whose melanoma is detected before it spreads. People under 30 years old that use tanning beds increase their risk of skin cancer by 75%. Skin cancer increased 800% in women 18-39 from 1970-2009. State of Illinois banned anyone under 18 years old from being able to use tanning beds. Melanoma has been linked to tanning bed usage. Thousands of skin cancers were found including basal cell, squamous cell and pre-cancer actinic keratosis. 197 patients were diagnosed with melanoma – the most deadly form of skin cancer. 102 were men. 95 were women. The oldest was 95 years old. The youngest was 25 years old. A) Asymmetry – One half not like the other. B) Borders Irregular – Poorly defined borders. C) Color Varied – Difference shades of tan, brown, black, white, red or blue. D) Diameter – Larger than the width of a pencil eraser. E) Evolving – Changing in any way. Stinging, itching, burning, or bleeding. “This is a disease that affects all ages and all backgrounds. The earlier melanoma is detected and removed, the better a patient’s chance for survival. If you can spot it, you can stop it, Soderstrom says. The medical staff at Soderstrom Skin Institute is available for interviews and presentations on skin cancer, skin cancer surgery, plastic/cosmetic surgery, laser treatment, acne, psoriasis, and all diseases of the skin.